Our soccer tournament is has entered in an agreement with the Copa Rayados International (Nov. 23-27, 2016) to be held in Houston, TX. Now the champions of the age groups 2008, 2007, 2006 and 2005 will automatically be accepted of the 2016 Copa Rayados International. For more information, go at the end of this page. Official 2016 Copa Rayados International website: . This 2016 soccer tournament is of the 11v11 format (8v8 and 6v6 on the younger groups) to help all players develop their soccer skills. Only a two day tournament. The games will be played in nice grass fields. -- Two day tournament. The tournament will start around 9:00 AM. -- Deadline to register a team is Sunday, August 14 , 2016. -- Schedules will be ready on Tuesday, August 16 , 2016. Check-in: Friday before the tournament at Parque Azteca from 7:30 PM to 9:30 PM. 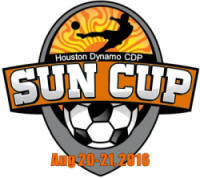 ** The Copa Rayados International is a prestigious tournament to be held November 23-27, 2016 in Houston, Texas where over 60 International teams are expected to attend. ** The champions of the 2008, 2007, 2006 and 2005 age divisions will automatically be accepted for the 2016 International Copa Rayados. ** The champions are still responsible for the fees and must register by September 1st for their place to be honored. ** All teams must follow the registration and tournament rules. ** Official 2016 Copa Rayados International website: .